Fiona has appeared in the media as an expert in the field of goal setting, career strategies, motivational mindset, parenting, relationship advice, negative mindsets, time management, mother guilt, boundaries, breaking bad habits, work-life balance issues, and business mentoring. Goal setting/life coached 16 staff at Commonwealth Bank, Darling Harbour over two days through CBHS health fund. 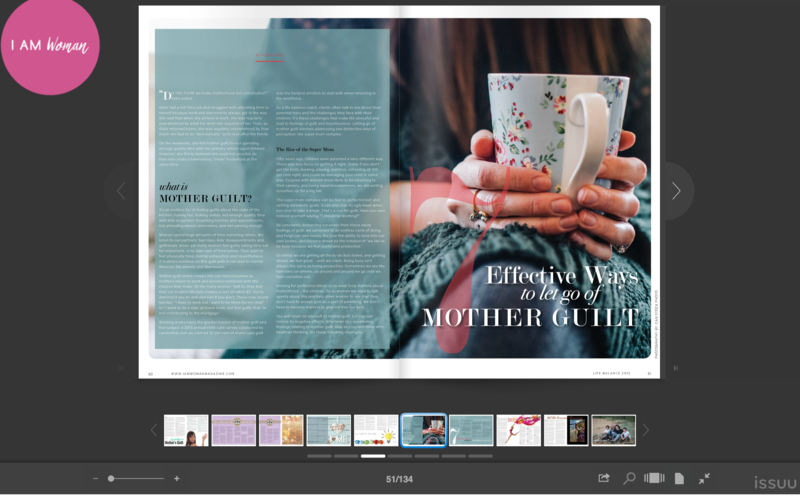 Co-wrote an article for Women’s Figness Magazine on 7 ways to Fall Back in Love with Your Job again, July 2017, p26-27. Featured on the postcast – The Writer’s Gym with Annalisa Parent. Wrote article for Australian Fitness Magazine on How To Finish What You’ve Started. Featured in the Wentworth Courier, Wednesday 21st September. Asked to write an article for Collective Magazine on the causes of work dissatisfaction and how to overcome them. 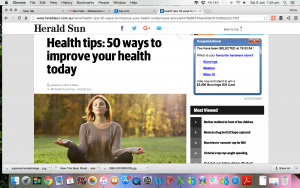 Interviewed on time management tips for Suncorp Super’s blog for Grey is the new black. 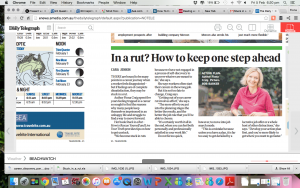 Mumma Bare column appearing in APN publications on my book “Stuck in a Rut – How to rescue yourself and live your truth” discussing strategies and tip on how to get out of a life rut. Featured in The Sun Herald Fairfax publication, Sunday Life Magazine, January 17th, commenting on the trend of one parent holidays. Girlfriend Magazine January Edition, Fiona contributed to an article on whether nearly graduated high school students are more suited to gap year, tertiary study or working after high school. 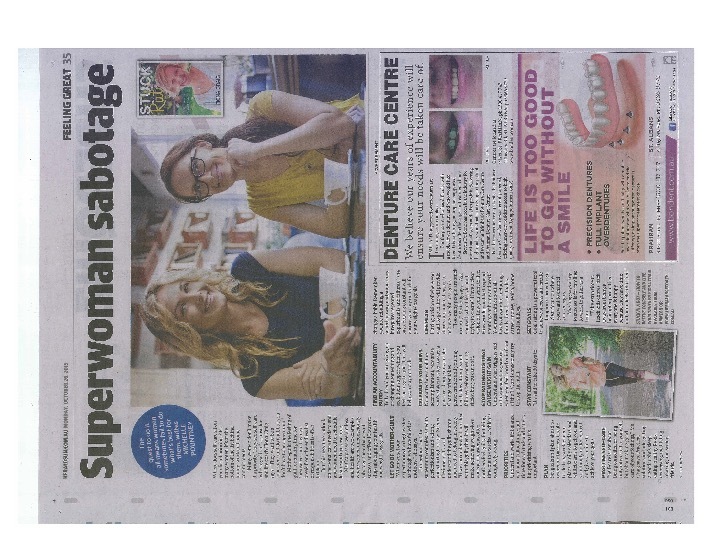 Herald Sun (Melbourne) newspaper invited me to be one of 50 health and wellness experts for 5 tips on being positive and organised. Blog written especially for I Am Women magazine on “7 ways to end mother guilt” to be featured on their online magazine. 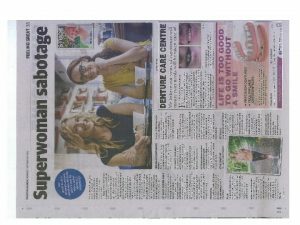 Advertorial by Michelle Pountney in Body+Soul section of Herald Sun, Melbourne, October 25th on 10 ways for women to get out of a health, fitness and self-sabotage rut. 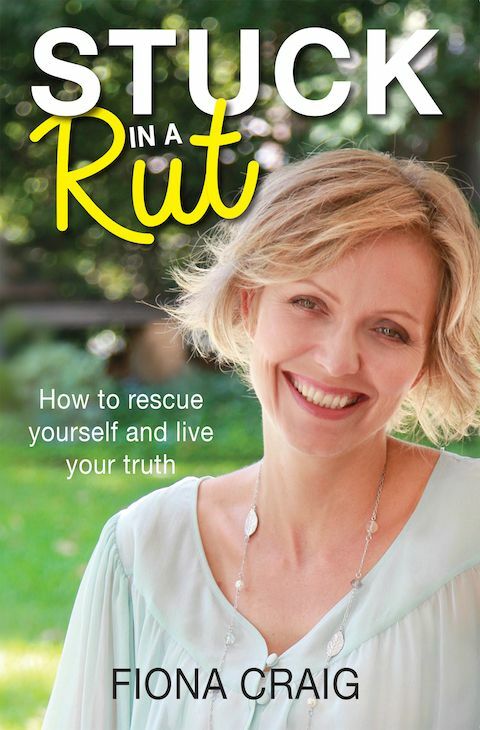 Launch of Stuck in a Rut: How to rescue yourself and live your truth with Busy Bird publisher at Book Expo Australia, October 17th, 2015. Interviewed (via Skype) for Pressie TV online current affairs program in Middle East on the Gentle Art of Saying No. The topic was inspired from my book, Stuck in a Rut, Chapter 11 Celebrating No. Contributed to 100 ways to be happy for Body & Soul Online Magazine. Fiona wrote articles for both Girlfriend Magazine (goal setting) and Women’s Fitness (fearing failure). 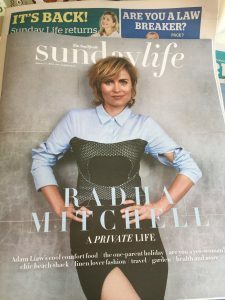 Interviewed by Penny Carroll, Deputy Editor of Women’s Fitness on how to Be Your Own Life Coach with tips on how to set goals, ways to take action, make decisions and stay true to yourself. 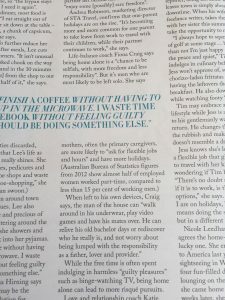 Interviewed for an article on life coaching for 50 something woman, a feature in The Australian Women’s Weekly‘s new publication How Busy Women Get Rich. 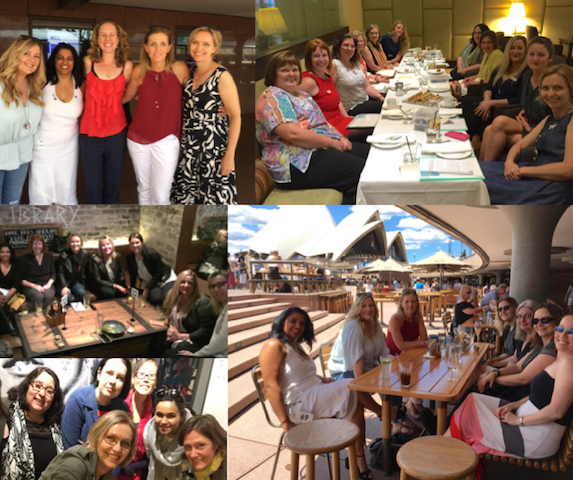 Fiona was invited to speak about Life Balance Coach for International Coaching Week 19th – 23rd May, 2014 at Diamant Hotel, Kings Cross. Women’s Success Circle has over 280 active members. 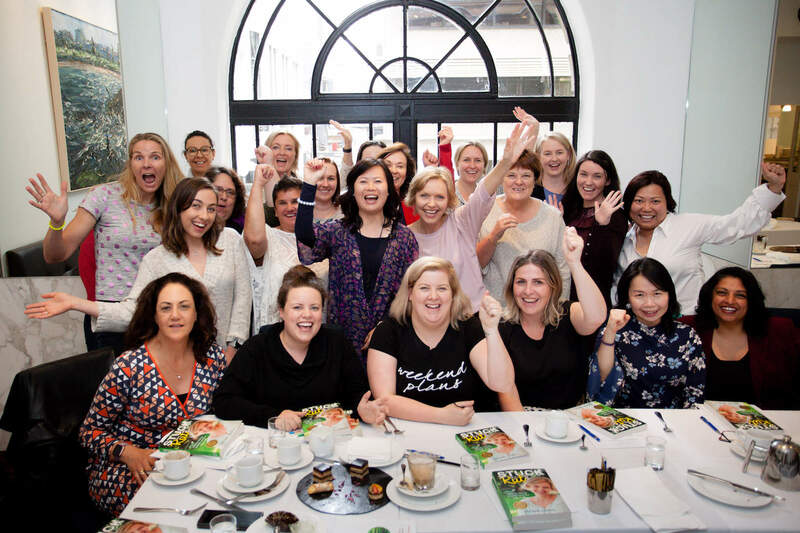 Women’s Success Circle is a community of heart-centred women who gather to explore their dreams, seek support, and grow personally and professionally.